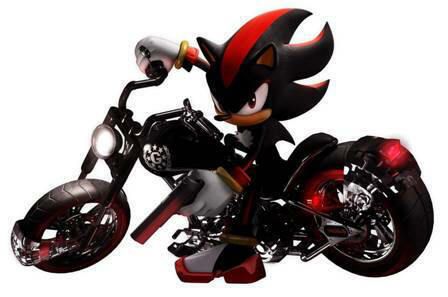 shadow. . Wallpaper and background images in the shadow el erizo club tagged: shadow the hedgehog. I love him when he's on his motorcycle. He may not need guns or vehicles, but he looks so badass on a motorcycle. oh Shad[noki1119]u look so hot!!!!!!!!!!!!! !